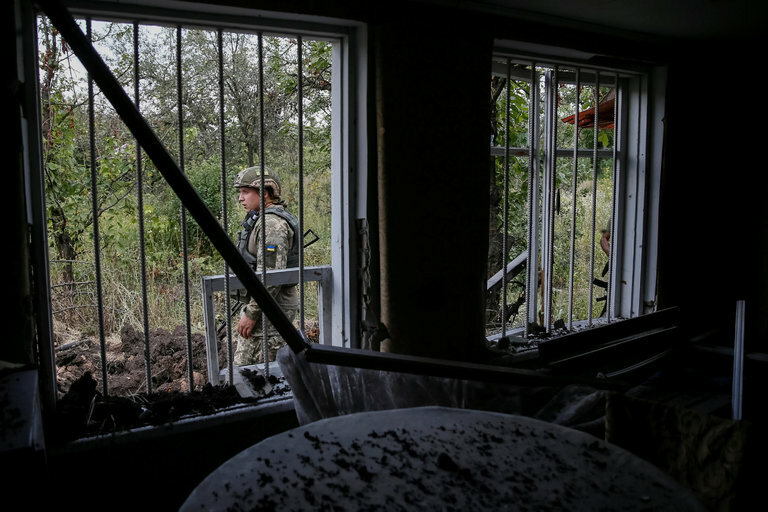 *** Signs of Trouble in Ukraine Prompt Question: What’s Vladimir Putin Up To? The president needs to fix the economy to ensure support from the Russian people. In 2017, Russia will mark the centennial of the October Revolution. In 2018, it will have a presidential election, in which President Vladimir Putin could run again. Putin is seen by most of the Western media as at least a dictator, if not as a czar, but dictatorships require absolute power. Russia’s current geopolitical and socio-economic reality has kept a true dictator from emerging, but Putin is the most important political figure and clearly a ruler. He needs to respond to the Russian people’s problems and keep the country running. Putin is using arrests, raids, resignations and political reshufflings to boost his position and appease the Russian public ahead of next month’s parliamentary elections. While Russia is facing many challenges, Putin's regime is under consolidation. Amman appears anxious about developments in southern Syria. On July 27, the AFP news agency reported that U.S.-backed Syrian rebel groups in southern Syria were opening up a “new front” in the war against the Islamic State. The story was not widely picked up at the time, but it has recently set off alarm bells in Jordan, which shares a large part of its northern border with Syria. The headline – “Coalition Aims to Open New Anti-IS Front in Syria: US” – is somewhat misleading, but there have been some important developments in southern Syria, which has taken a back seat as much of the world’s attention is focused on the battle for Aleppo raging in the north. On Aug. 8 and 9, a slew of reports appeared in the Jordanian press, quoting former military officers and various commentators who all said that Jordan should absolutely not be dragged into new military operations in support of the United States in southern Syria. These reports also contained concerns that the new offensive AFP reported might cause large numbers of refugees to head for Jordanian territory, or even encourage attacks on Jordanian targets by either the Islamic State or jihadist anti-Assad rebel groups active in the area. The current turmoil is intended to reverse an electoral verdict by violence and force the BJP out of power in J&K. It will further Islamise the valley, which does not seem to bother the BJP’s “secular” national opposition. Retrieving young Kashmiris from the path of narrow Islamism is challenging because they are being fed on a diet of blood and shahadat. The unanimous parliamentary resolution on Jammu & Kashmir, to try and restore trust through a process of dialogue, especially with the young, is fine as far as it goes, but it doesn’t go very far. Without understanding the real reason why things went so bad so soon we won’t get anywhere. The unrest was apparently triggered by the killing of terrorist Burhan Wani last month, but the real reason has little to do with his killing or the use of pellet guns subsequently against teenage protestors, which has blinded some of them. It is something no one wants to admit: the origins of this bout of alienation stem from the shock delivered by the rise of the Bharatiya Janata Party (BJP) in Jammu & Kashmir as a partner in power in 2014.‎ It suits the national opposition parties, which too have not reconciled themselves to the rise of the BJP, to pretend that somehow they had better answers to the Kashmir problem which the BJP doesn’t. This is what enables them to play holier-than-thou on the deteriorating situation in the valley. Last week China’s defense minister, General Chang Wanquan, implored the nation to ready itself for a “people’s war at sea.” The purpose of such a campaign? To “safeguard sovereignty” after an adverse ruling from theInternational Tribunal for the Law of the Sea. The tribunal upheld the plain meaning of the UN Convention on the Law of the Sea (UNCLOS), ruling that Beijing’s claims to “indisputable sovereignty” spanning some 80-90 percent of the South China Sea are bunk. A strong coastal state, in other words, cannot simply wrest away the high seasor waters allocated to weaker neighbors and make them its own. India might think of itself as equal to China, but the realists point to the power shift that has begun to express itself in Beijing’s ties with Delhi. 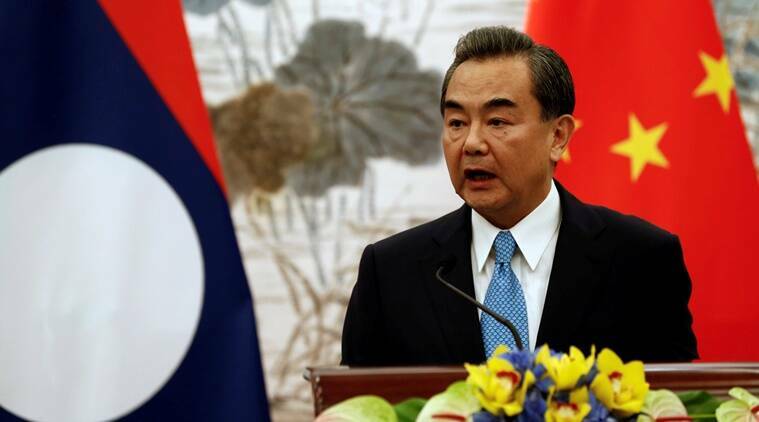 As China’s foreign minister, Wang Yi, arrives in Delhi this week to renew high-level political engagement, the two sides should try and limit the negative fall out from Beijing’s decision to block India’s membership of the Nuclear Suppliers Group (NSG) in June. Realists, who focus on power politics, insist the NSG episode merely reflects a new moment in India-China relations. India might think of itself as equal to China, but the realists point to the power shift that has begun to express itself in Beijing’s ties with Delhi. China’s GDP is nearly five times bigger than that of India and its defence spending is four times larger. This power differential, according to the realists, means Beijing has no reason to be sensitive to India’s vital interests. The realist counsel to Delhi is quite simple: Get used to it. As the Greek sage Thucydides put it long ago, the “strong do what they can; the weak suffer what they must”. The proposition that big powers get their way, however, has an important corollary to it. While the weak endure what they must in deep resentment, they don’t necessarily accept their condition as irredeemable. The weak look for alliances against the strong. They also develop asymmetric security strategies to counter the hostility of the powerful. We don’t have to look far to understand that rider to the realist theorem. Just look at Pakistan’s India strategy. "You now have a golden opportunity to do something that many of us here wish we could do right now. You have the ability to terrify the disbelievers in their own homes and make their streets run with their blood. "...terrorize the disbelievers and make them feel fear everywhere, even in their own bedrooms. Due to their mere disbelief, their blood by default is lawful to spill." There are two lines of effort in the current campaign against Republican nominee Donald Trump. First, his Democratic opponents stigmatize him as Russian president Vladimir Putin’s lackey, as someone who would be ready to appease the aggressor in the Kremlin. Second, they contrast him with Barack Obama, a supposed Russia skeptic, and let’s-get-tough-with-Putin Hillary Clinton. These attacks should make sense only to someone who has been under coma in the last eight years. In fact, Trump’s differences on foreign policy with Obama are as much style as substance. Morrell’s allegation echoed similar criticism of Trump’s views of U.S. relationship with Moscow, including his repeated praise for Putin’s leadership, his call for American-Russian cooperation in a campaign to defeat ISIS, and remarks that seemed to suggest that he supported U.S. recognition of Russia’s annexation of the Crimea and encouraged Russians to hack into Clinton’s email server. What Does It Mean to Be Conservative in Russia? When I had just started working as a journalist for the independent Russian news agency Rosbalt in 2006 in Moscow, I went to cover a conference called “Conservative values and social reforms.” The conference brought together two political parties: the German political alliance of the Christian Democratic Union and the Christian Social Union on one side and Russia’s “United Russia” on the other. There were many things that I could say about United Russia in 2006, but I never thought of it as a conservative party. We all lived in a brand new country; the party, too, was brand new and shiny—what could be conservative about it? At the conference I asked Andrey Isaev (then a Member of Parliament and now deputy chairman of State Duma) about the difference between traditional and conservative values in the Russian context and he told me, “Social conservatism is a policy that defends traditions." As I wrote in my article in 2006: “Probably MP Isaev never thought about the difference between the two, not then and neither now.” I closed my article saying that United Russia of course knows that the wild 1990s took away any positive meaning from the words “liberal” and “reform” in Russia, so why not substitute “liberal” for “conservative” and “reforms” for “modernization” in a rebranding attempt? I did not know that I actually asked Isaev one of the most difficult questions about conservatism (I was young and bold) and I was not trying to hide my scepticism back then—which was by the way shared by many participants at the President Hotel. Looking back from 2016 I understand that I was wrong. The conservative wave was coming and Putin knew it all the way. The Russian army can outgun British troops on the battlefield after military advances by the Kremlin, a leaked report suggests. The assessment by the British army’s warfare branch, seen by the Times, warned that Russian weapons, including rocket launchers and air defence systems, were more powerful than their British equivalents. The report added that UK and its Nato allies were “scrambling to catch up” with Russia’s ability to use electronic means to hijack enemy drones and disrupt other military transmissions. The publication was produced in March under the direction of Gen Sir Nick Carter, the head of the army, the newspaper said. It is understood the report is based on one training exercise carried out in Ukraine. At first glance, this concept could resonate as somewhat extreme or exaggerated -- given the existing US “Triad” of nuclear weapons to include ICBMs, air-dropped bombs and submarine launched nuclear firepower. As the military continues to build its cyber forces and institutionalize a professional cyber corps, top officials are calling for a cyber persistent training environment. 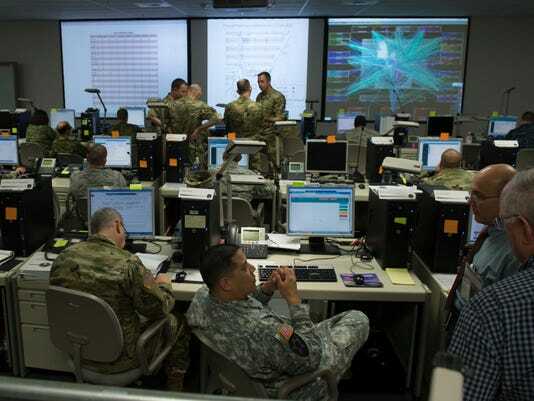 While Cyber Command conducts large-scale exercises every year such as Cyber Guard and Cyber Flag, more is needed. The Army was recently tasked by DoD as the lead for the joint services to develop the persistent training environment, Ron Pontius, deputy to the commanding general of Army Cyber Command, said at TechNet Augusta, held in Georgia Aug. 2-4. “The cyber PTE will provide scenarios event management and access for high quality, individual and collective training and mission reversal capabilities for our cyber mission forces at the time and place of need for all four services and for U.S. Cyber Command,” Pontius said. “This past year the deputy secretary of defense designated the Army as the executive agent for cyber training ranges and then in this last year’s program budget review the Army was specifically given some resources…to do persistent training environment, to lead the development for the whole DoD capability,” Pontius told C4ISRNET in a recent interview at Fort Belvoir, Virginia. Funding is slated to begin in fiscal 2017, and in the meantime, the Army is “working through the governance and management and the requirements and the acquisition approach for when resources start flowing in FY17,” he added. SRI International has been awarded a $7.3 million DARPA contract to restore the U.S. power grid after a cyberattack. SRI will support the Threat Intelligence for Grid Recovery project, which is part of DARPA's Rapid Attack Detection, Isolation and Characterization Systems (RADICS) program, according to the Department of Defense contract announcement. 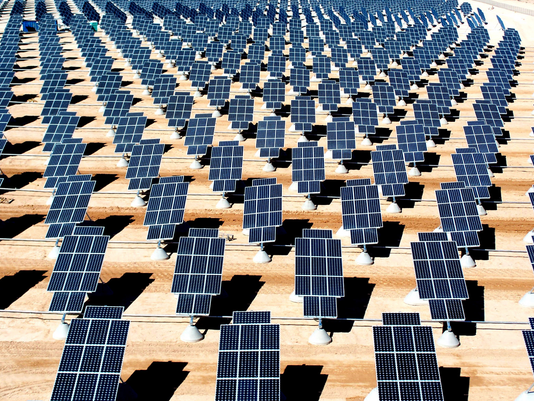 The power grid is one of 16 sectors defined as critical infrastructure. Under the four-year contract, RADICS is intended to restore electrical service within seven days after the grid has been brought down by a cyberattack. "RADICS will develop innovative automated systems to detect indications and warning of an impending attack, provide situational awareness, and accelerate recovery actions by enabling first responders to isolate affected systems from the Internet, establish a secure communications network and characterize the nature of the threat," the DoD said.